Worker health in South Africa has generally been excluded from legislation, although some issues on worker health have been include , e.g noise, effects of temperature, some ergonomic aspects, and available workspace. This changed on January 1st 1994 when the Occupational Health And Safety Act 1993 (Act 85 of 1993), placed greater emphasis on Occupational Health (Work Health). It makes it Management's responsibility to identify any risks associated with their processes / operations, to take the necessary steps to safe guard their employees health and safety, and to inform the employees of any dangers associated with a particular task or work environment. This new Act therefore requires Management to actively Manage Occupational Health And Safety. In order to carry out all these new responsibilities adequately, the Manager will either have to employ qualified staff, obtain advise from consultants or become an expert himself. A requirement of the new legislation is that only Qualified persons and / or an Approved Inspection Authority be used in matters of Occupational Health. 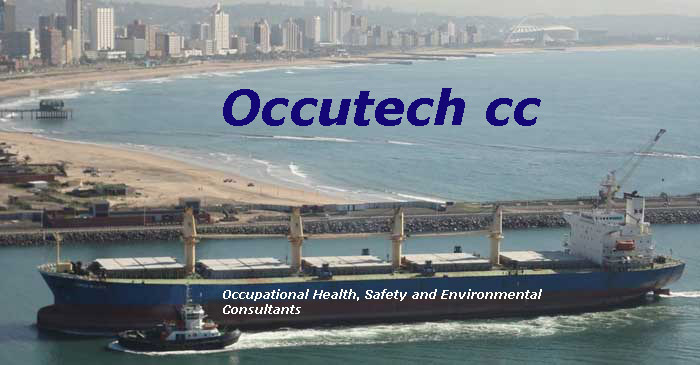 Occutech is a Permanent Approved Inspection Authority which will provide thethe necessary expertise to meet your requirements of the Occupational Health And Safety Act and equip you to manage any problems.